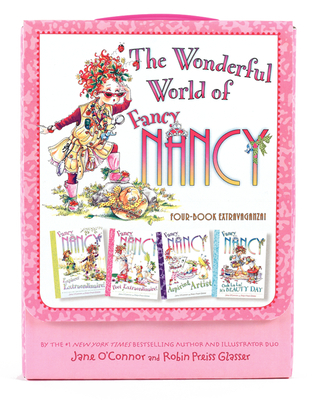 Fancy Nancy: The Wonderful World of Fancy Nancy: 4 Books in 1 Box Set! Softcover book in good shape, light wear to cover and book edges. New. 0062210602 BRAND NEW, GIFT QUALITY! NOT OVERSTOCKS OR MARKED UP REMAINDERS! DIRECT FROM THE PUBLISHER! |1.24.